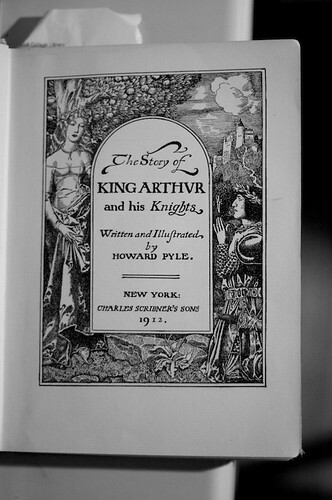 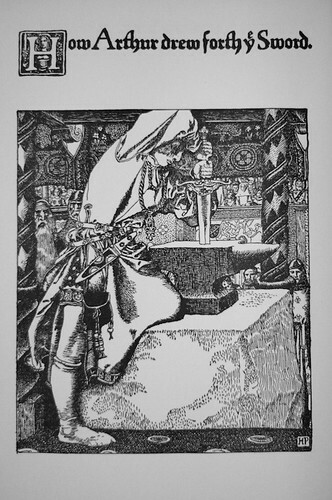 Searching for Fairy Tales, I cam across a 1912 edition of Howard Pyle’s The Story of King Arthur and his Knights (WorldCat). 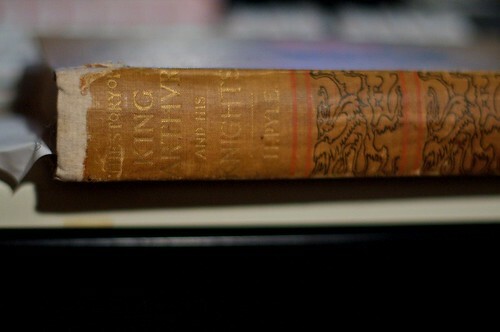 Originally published by Charles Scribner’s Sons in 1903, this edition showed a little wear and tear and some fading in the printing on the spine. 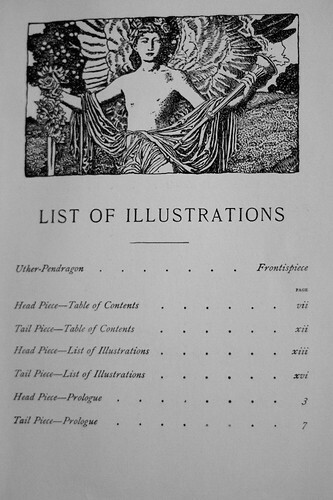 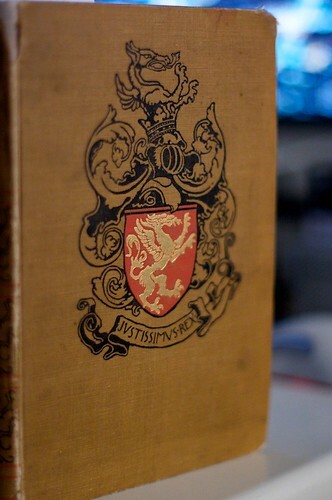 However, the front cover and inside pages were still in great condition (if slightly colored).